Have you stuck to your New Year’s Resolution? Did you even make one? For me it’s about goal setting, not so much a giant long year goal, but more about simple short term goals that bring me joy, happiness and results towards the bigger end goal. I made a commitment or goal if you will, over 12 years ago to leave sugar behind and change my habits and way of life so sugar’s hold would never control me again. When you are on any kind of special diet, be it because of allergies or just for healthier reasons, it can’t be a sustainable life style change if you feel deprived. I’m not into deprivation, are you? I mean just because I choose not to indulge in sugar doesn’t mean I forgo dessert, that would be a sad, sad way to live don’t you think?! 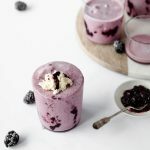 I’ve partnered with Silk milk to bring you this recipe focusing on their unsweetened milk options. 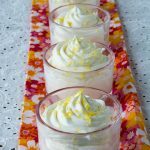 Simple swaps like using unsweetened Silk milk in recipes still can result in a flavorful dessert without all the traditional sugars one would think would be needed to be satisfying. 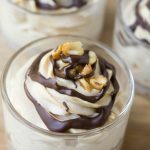 My own hubby made a New Year’s resolution to decrease as much sugar from his life as possible and decrease the carbs as much as he could stand. Yes he has been the most stubborn man and it’s taken me a long time of asking, for the sake of his health, to make these changes. Although I can’t say he’s completely removed sugar, as he does cheat from time to time, he is making positive changes in the right direction. 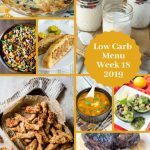 My job has been to continue making as many yummy recipes as I can to keep him on this path and this recipe was a winner for him and hopefully it will be for you too. 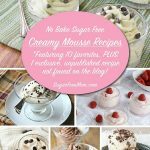 I hope you enjoy this creamy, dreamy, no sugar added mousse! 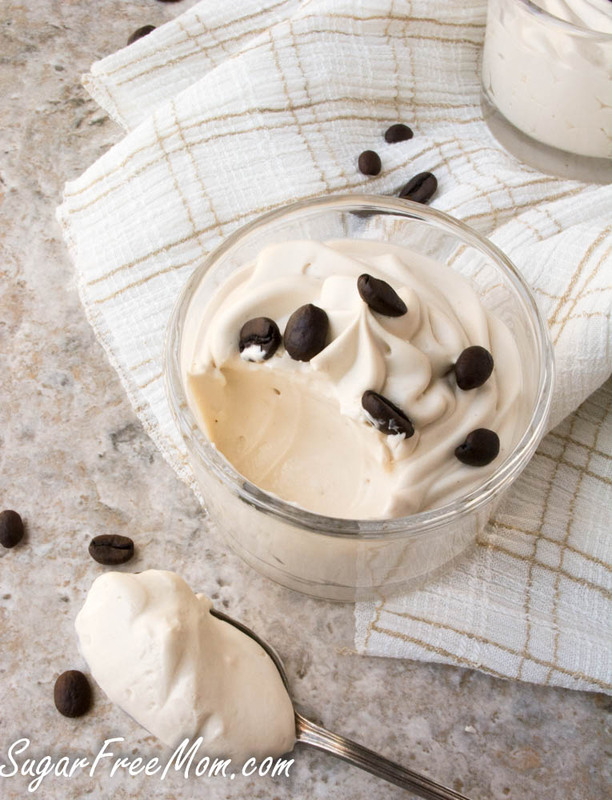 Pace the cream cheese and coffee in a stand mixer and blend until smooth. Pour in the milk, 1 tsp of coffee extract and 1/2 tsp stevia. Blend again until smooth then taste and adjust the flavor of the coffee and the sweetness and increase to your preference. Set aside. In another bowl whip the heavy cream with an electric mixer until stiff peaks. 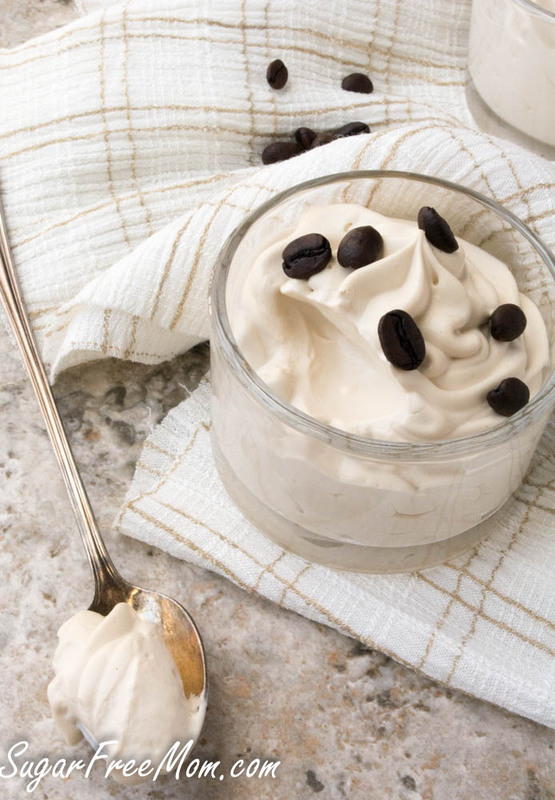 Fold the whipped cream into the cream cheese mixer until well combined. Pipe into serving glasses and refrigerate. 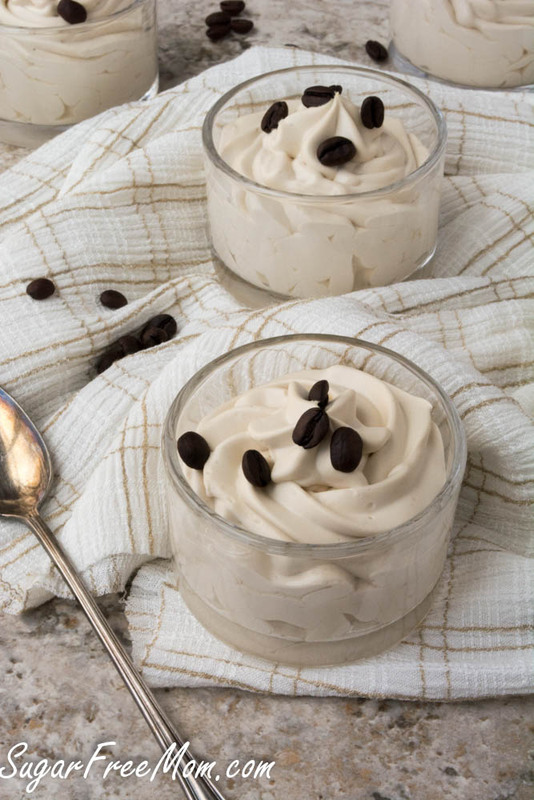 Top with coffee beans when ready to serve. I’m generally lovin’ your recipe ideas but I’m a bit dismayed to see heavy cream and other high cholesterol ingredients. Sugar can’t be the only ingredient to avoid. What would you suggest as a heavy cream sub? Silk Coffee Creamer? 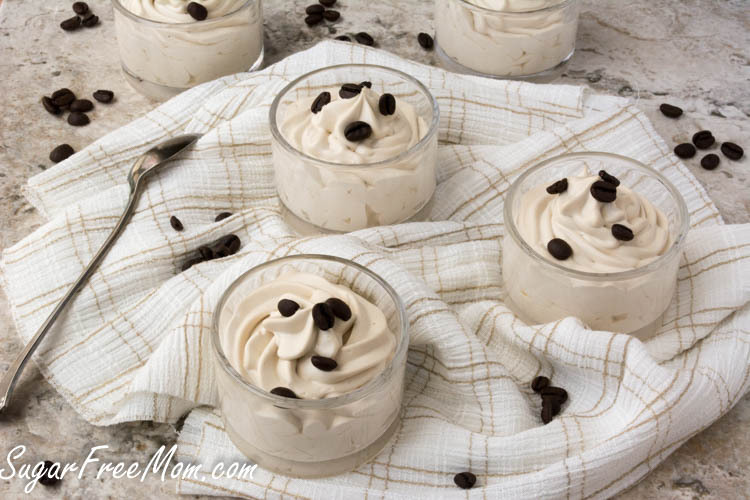 If you’re looking for a dairy free sub to replace the heavy cream canned coconut milk would also work:https://www.sugarfreemom.com/recipes/dairy-free-sugar-free-whipped-cream/ otherwise I don’t see how else you can get the same consistency without whipping the cream. I don’t shy away from fat because it’s satiating and satisfying especially on a low carb/sugar free diet which helps me so I don’t crave carbs. If you’re looking for less fat you could sub some fat free cool whip. I don’t use cool whip because it contains high fructose corn syrup to sweeten. Thanks for your response. The reason I don’t use heavy cream is because of the high cholesterol level (and triglyceride build up). If I can’t figure this out, I’ll forego it. Thanks for all! I’m confused. I thought everyone knew that they have found NO correlation between high fat and high cholesterol/high triglycerides when the diet consists of low carbs. It’s actually the cabs that are THE factor in relation to high cholesterol and high triglycerides. My suggestion is that you stop reading and listening to the research that was created around the agricultural corporations and look at the present long term research debunking the whole high cholesterol “crisis”. Yes Drew and all my labs prove it! Sounds delicious and I will be getting the ingredients when I shop. 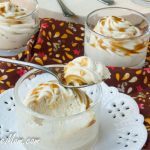 Oh my gosh my hubby and I eat them all the time and ate them off this dessert. When they are fresh beans, they are less crunchy than a nut, they won’t crack teeth at all, at least not the ones I buy organic from Whole Foods. We snack on them too, well hubby does more than I do haha! But we love them. I’ve never worked with or had a coffee bean that would break my teeth. Glad to know we’re not the only ones! We eat coffee beans too, sometimes even chocolate covered ones! I have never had a broken tooth either! I love this recipe and I agree, I only use full fat products. The low fat ones usually contain unnecessary ingredients too. I can’t wait to make this! I think I should make some sugar-free chocolate covered coffee beans! Glad you asked that question. I bought chocolate covered coffee beans one time. They were like rocks! I’m glad to learn there are eatable ones. 🙂 Can’t wait to try them. Yes my hubby loves espresso beans too! 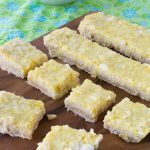 It’s a great sugar-free snack, just like a nut! Thanks Angie! 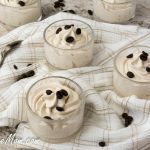 Chocolate covered espresso beans are life so I’d put those on top 🙂 And I love everything about this recipe! I’m a nutritionist and have had some alarming studies about stevia’s effect on fertility come across my desk (along, of course, with some contradictory ones funded by stevia producers ). I’m reminded of when we got the first ripples of adverse effects from aspartame and then sucralose. Since you push the product so much on your blog, have you heard anything? I’ve not heard about any alarming studies regarding stevia and work closely with an organic brand I use regularly. I have used stevia for 12 years and my recipes I make with stevia are regularly eaten by my family. I am loving this recipe. Hubs is a HUGE coffee guy so I think he’d totally fall for this one. I love the presentation of this one. I totally concur on the heavy cream, nothing else will give quite the same results. I love that you do everything in moderation, including moderation. My best friend is on low carb and does the same thing as you. Her diet is so healthy that allowing some fat in it is okay, and helps her feel full as well. I usually call her before I make something for our dinners together so I know what’s okay and what’s not. especially because I’m not a healthy eater. She tells me avoid sugar and corn syrup but fats are okay. Especially high quality ones, she avoids processed things like cool whip too. I eat them by the vat. We’re a mixed bag, me and her. We’ve been best buds for over 40 years and could not be more different, lol. I love her to bits. ps I’m not a coffee girl so I didn’t know you could eat the beans. It never occurred to me because I never buy the beans., I buy already ground. This is going to rock hubs world. I didn’t know you could get chocolate covered ones either. Ha. He’s probably going to send you a thank you note for this bit of news. Ha ha ha! Some food blogger I am. I’ve got a best friend for the last 18 years and she is I are just like that, completely opposite in the food department. She eats potato chips and chocolate every day! I love her to pieces and it makes no difference to me about her food choices. Everyone is on their own journey. PS. I used to be a cool whip addict before I went sugar-free! I’d eat a tub a week! I thank you for your comment! Hi! Im new to your site. Your pictures are fabulous! 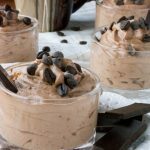 Love a yummy creamy mousse recipe! I’ll have to try it. Pinning for later. but now I read the ingredients and it does mention corn syrup… does corn syrup effect your sugar… or not..im going to look it up!!!! Corn syrup is a form of sugar so probably shouldn’t be used on a low carb diet. Also corn itself is high in carbs! So, I just made this. Never thickened. What I did wrong? Brenda, what is the protein content, and serving size? I saw it said 1g but my scale doesn’t measure in grams. Also! I made this as my first homemade keto dessert, it is amazing it’s going to take a lot of self control not to eat it all at once! There was a glitch with my recipe plug in and it converted all my servings to 1gram which is incorrect. It’s 3 ounces. I want to try this today but don’t have any coffee extract. I do have expresso powder. 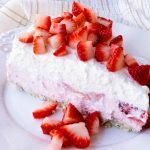 Could I substitute it if I increase the heavy cream? If so, how much would I increase it? 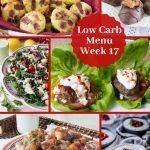 My husband and I are on Keto. We have done very well on the diet thanks to recipes like this. I am a sweets junkie and really hated to give up the tons of sugar I was used to. This recipe is so good. I will make it again. Thanks for sharing. Do you have to use almond milk or can you sub it with regular milk or half and half? TIA. This looks amazing by the way! You could sub the almond milk with either of those.